Giving yourself the gift of clear vision doesn’t have to send you on a vision quest. It’s as simple as a trip to your local eye doctor. 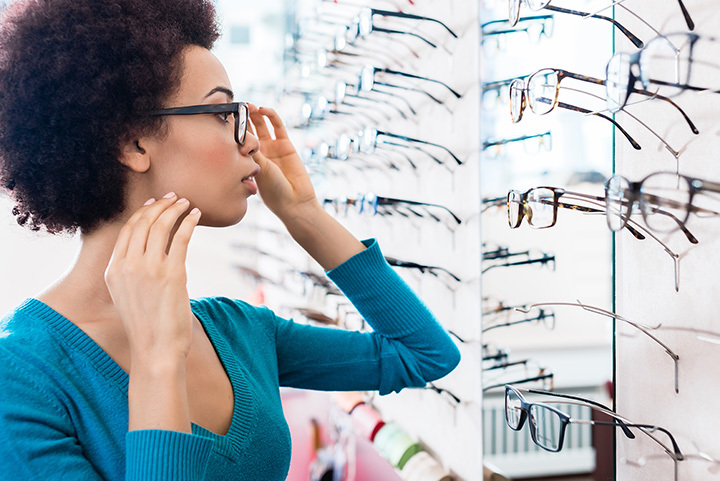 Eyeglasses, sunglasses, contact lenses, corrective surgery, whatever it takes, any one of these stores is a sight for sore eyes. Here are the best eyewear places in New Mexico. This store is a feast for the eyes. The collection of premier luxury eyewear is exceptional. Iconic brands for sale include Dior, Celine, Fendi and OWO and Starck in the latest styles. Certified opticians are on-site for eye exams and to assist with choosing frames and lenses. Whether you need prescription eyewear or just a new pair sunglasses, check out this locally-owned store. Optics are everything at an eyewear shop, both perceived and tangible. What’s tangible here is the commitment to skillfully combine the art of fashion with the science of optics for the best eyewear possible. A full-line of frames and lenses available in all shapes and sizes. An in-house full-service laboratory helps with unique, rare and difficult prescriptions. Specialty crafted glasses for billiards, snooker and pool. If you want to make a statement with your eyeglasses, you’ll find that “Wow Factor” here. An outstanding selection of sunglasses and prescription glasses, in one place, makes it easy to get a new, updated look. An optician and optometrist on-site makes this a one-stop shop. Pick-up handcrafted eyewear holders, cases, readers and cleaning accessories. With more than 40 years of experience in the optical business, the family that owns and operates this shop has an eye for eyewear. The team here as a vast knowledge of frames, lenses, coatings, grinding techniques and specialty products. Licensed opticians have knowledge of the anatomy of the eye, lens design, frame and lens manufacturing. Curbside service for customers with limited mobility. Come to the Source for well-priced state-of-the-art eyewear and reliable, top-notch customer service. You won’t be able to take your eyes off the exceptional selection of eyewear from Oakley to Maui Jim to Revos, Nike and Costa Del Mar. Pick-up sun, safety and motorcycle glasses, prescription and contact lenses. Buy one pair of frames and get another one free, too. Personalized optometric services are the hallmark of this store. Services include comprehensive vision examinations, plus diagnoses and treatment of a variety of eye diseases, conditions and problems. Choices of frames are extensive with current and trendy brands in stock the help you highlight your unique features. Contacts include soft, gas-permeable, multifocal and color lenses available. To protect your peepers, schedule an appointment with one of the doctors here. Exams include computer assisted technology that helps identify, diagnose and treat ocular disease and injury. Laser vision correction and cataract surgery available. Frame styling options, more than 1,000, complement any lifestyle. Outside prescriptions accepted. How clear is your vision? If things are looking a little fuzzy, the doctors here can help clear it all up. Doctors use advanced diagnostic technology and vision correction products to improve and enhance compromised vision. Eyeglasses come in a wide-range of popular brands and styles. Add anti-reflective, progressive or single vision lenses to any frame. Vision correction procedures include corneal reshaping, LASIK and low vision therapy. Contacts available on line or in the store. Healthy eyes take an investment of time in regular vision care. That includes eye exams that pinpoint complications like farsightedness and nearsightedness and answer the question, what is an astigmatism? The staff here are trained to diagnose, test and prescribe the correct prescription to accommodate any vision problem. Plus, once a diagnosis is made, they’ll help you make the right choice in glasses or contacts. This multi-generational family-run and owned practice has been serving the local community for more than 60 years. That breadth of knowledge cements their commitment to extraordinary customer care throughout the eye exam process. Services cover LASIK and cataract co-management, diabetic eye care, glaucoma diagnostic testing and treatment and a whole range of glasses and contact lens options. Pediatric eye exams carefully given for the littlest patients.